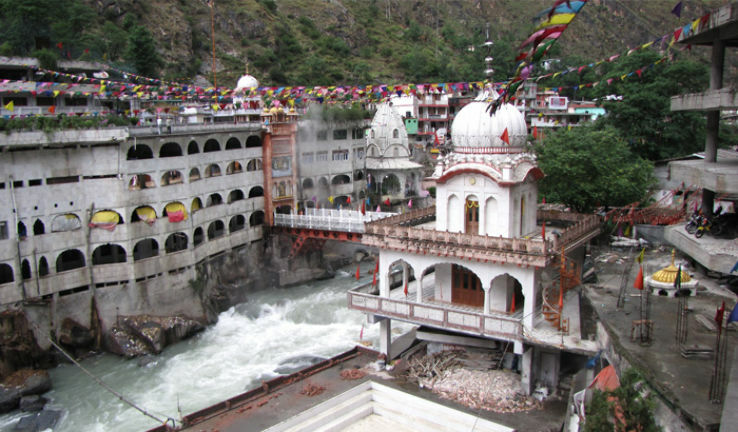 The Manikaran gurudwara or Sri Guru Nanak Dev Ji Gurudwara was made to commemorate the visit of Guru Nanak Dev. It was mentioned by giani gian that guru nanak was accompanied by his disciple bhai mardana. After brief preaching guru nanak came to this place. As per the book “Bhai Bala Janamsakhi” written by giani gian, guru nanak viited to this place to check the well being of the people residing at this place around the year 1550. His disciple- bhai mardana went to collect pulses and flour from the locals for lungar with the permission if guru nanak. When mardana lifted the stone from the spot where the guru was sitting, a hot spring suddenly emerged out of nowhere. Even today the pool exists and is used for making free lungar for all the people. Manikaran are well known for hot sulphur springs. Do not miss this activity at any costs. After tiresome trekking and other activities this is a good place to relax and take out each and every fatigue. One can enjoy hot lungar for free while visiting this holy place. In total there are three baths. One being located directly under the gurudwara itself!